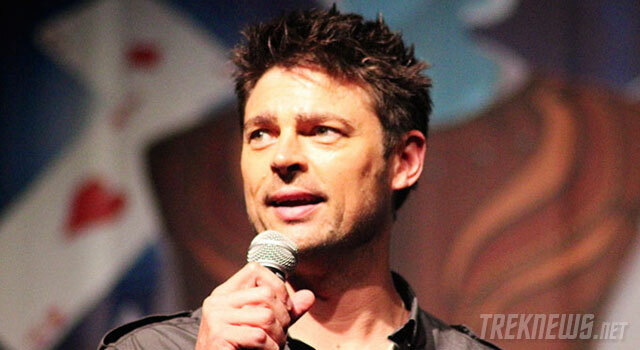 On Thursday, Creation Entertainment announced the addition of Karl Urban to the Boston Star Trek Convention lineup. Urban, best known for his portrayal of Dr. “Bones” McCoy in the new J.J. Abrams’ Star Trek films, is currently starring in FOX’s new crime drama Almost Human. Previously announced guests for the Boston convention include Scott Bakula, Kate Mulgrew, Avery Brooks, Robert Beltran, Terry Farrell, Anthony Montgomery, Tim Russ, Max Grodenchik, and Aron Eisenberg. The Boston Star Trek Convention takes place June 21 and 22 at the Hynes Convention Center. Tickets, starting at $20 per day, are available at Creation’s website.